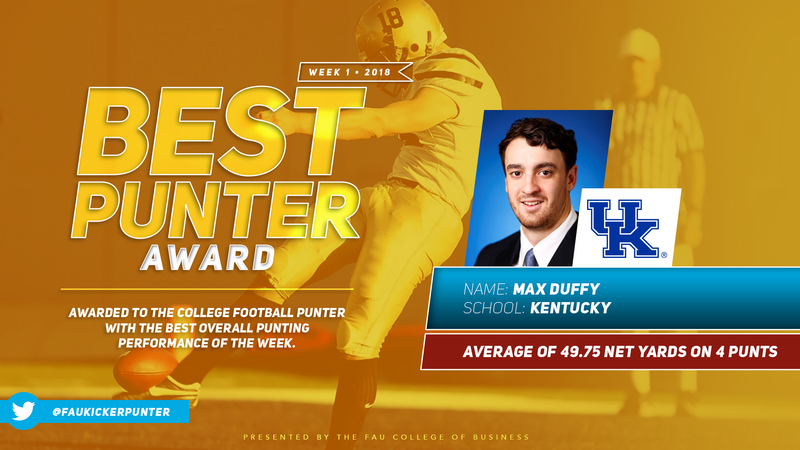 Our staff will regularly announce two weekly awards in recognition of punting excellence. 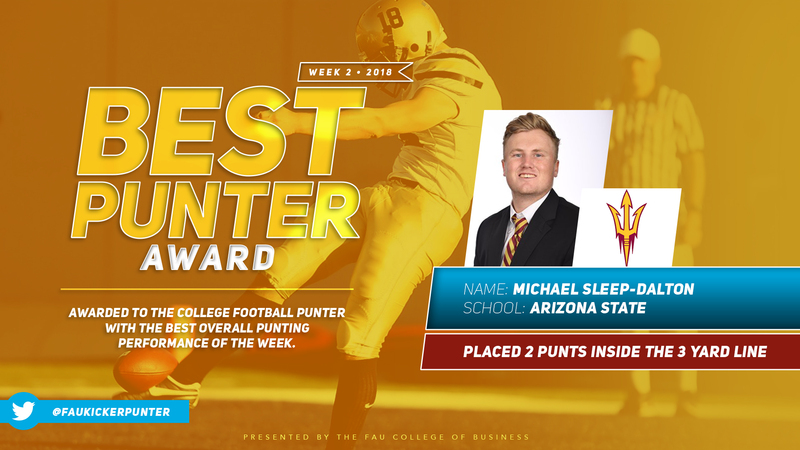 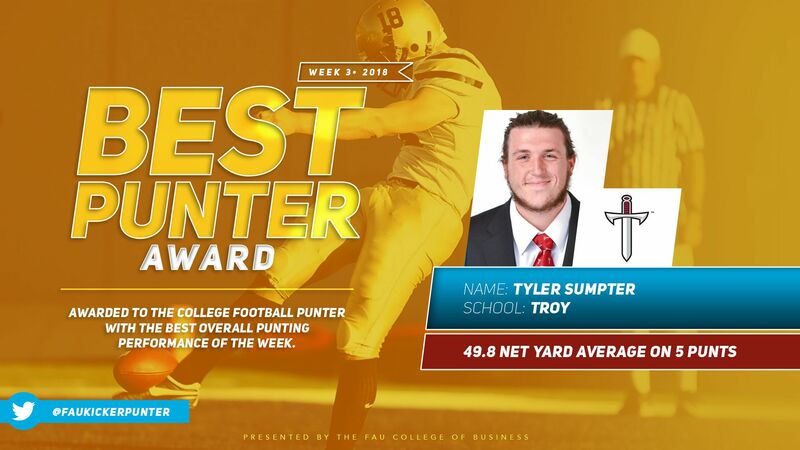 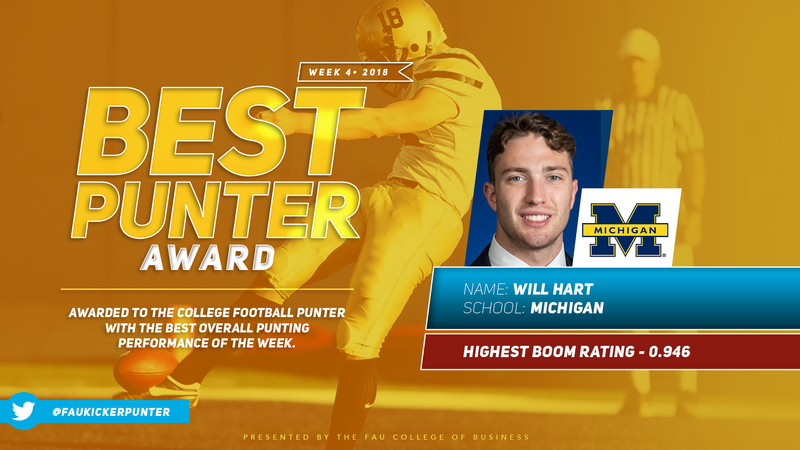 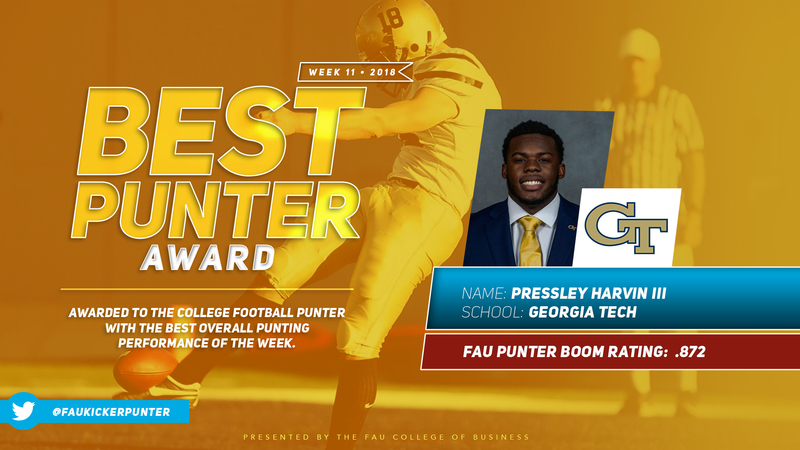 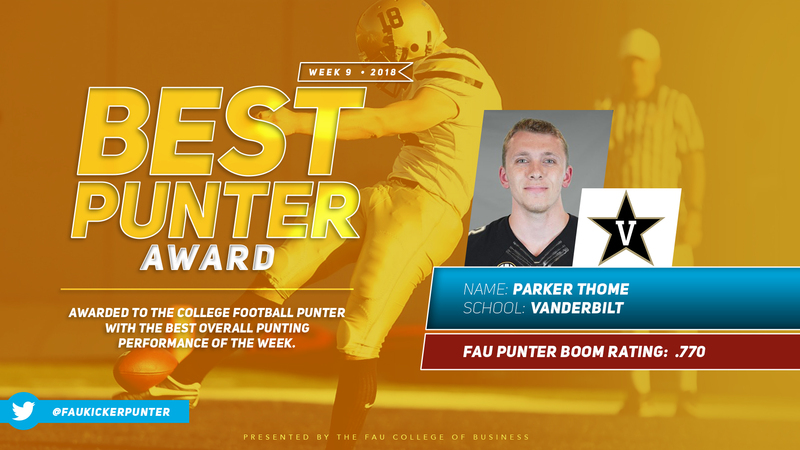 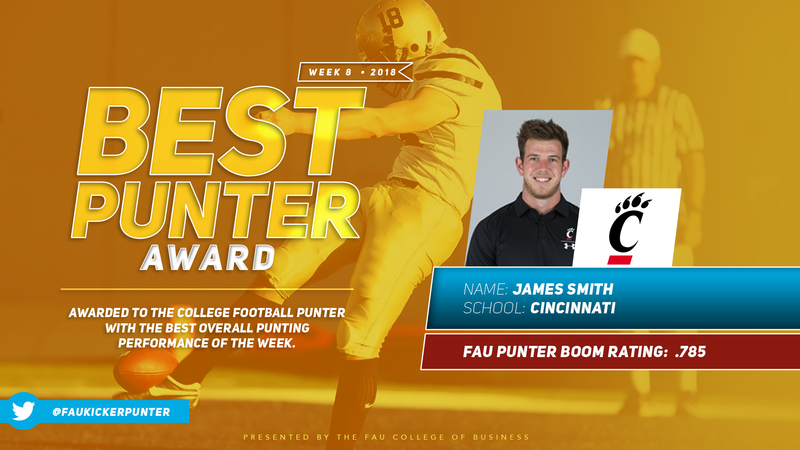 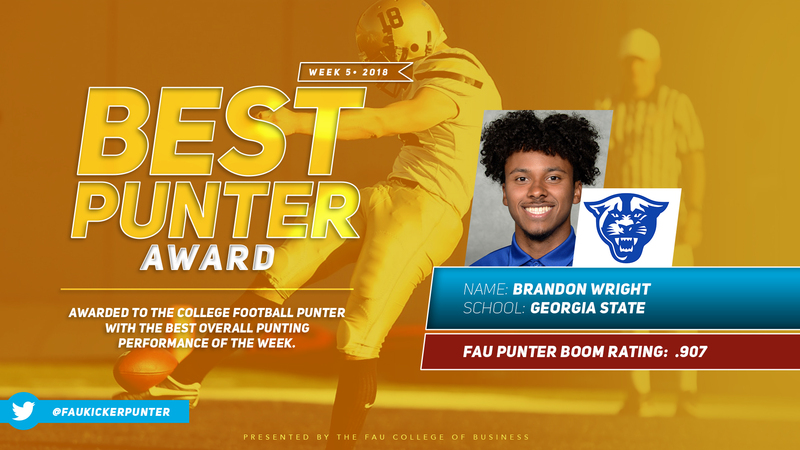 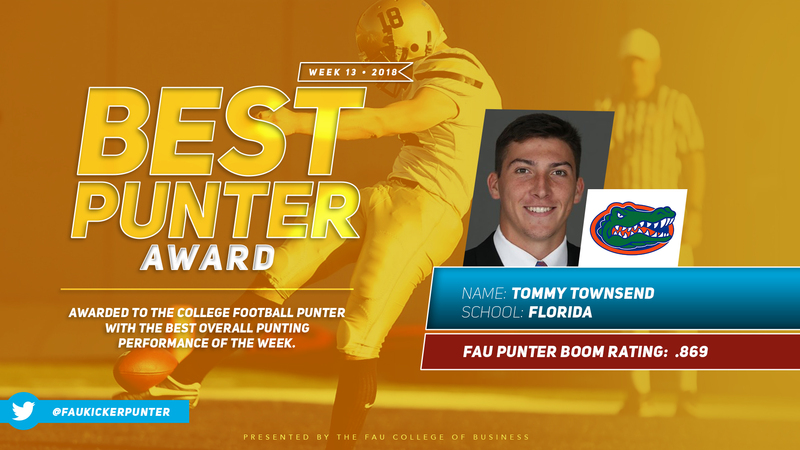 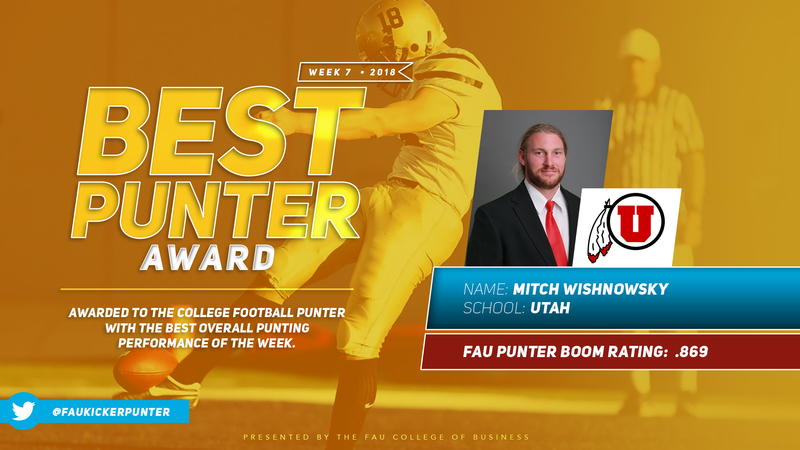 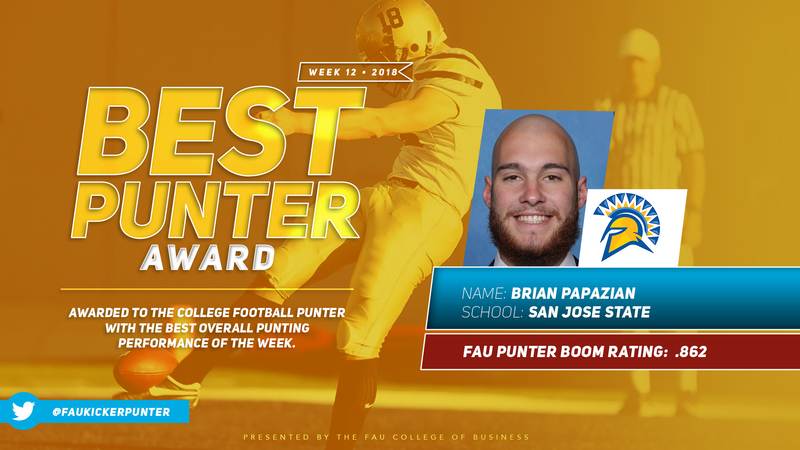 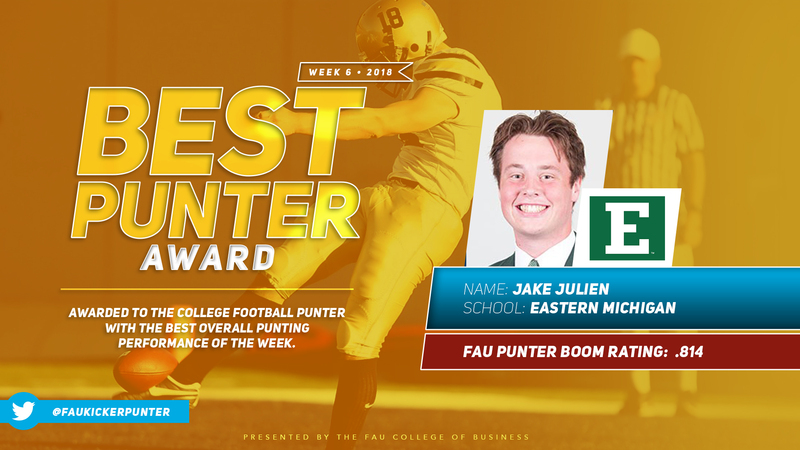 Best Punter Award – in recognition of the best overall punting performance of the week (minimum 3 punts). 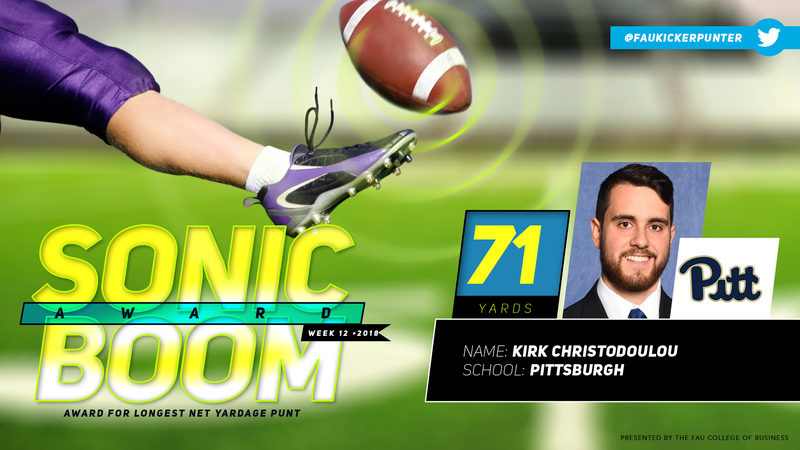 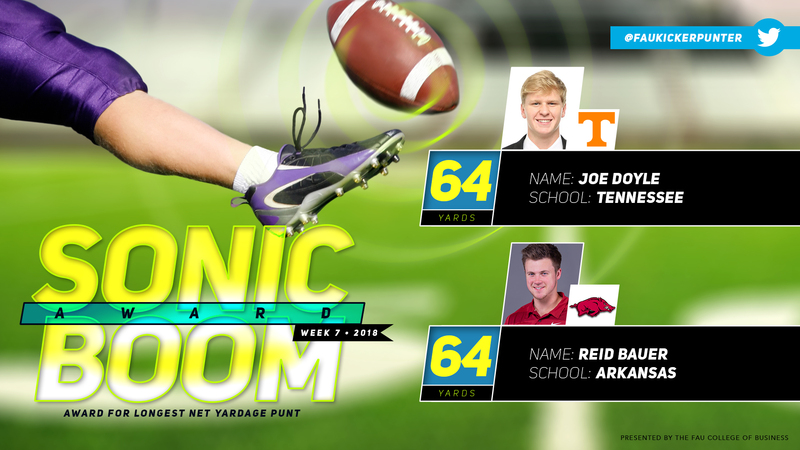 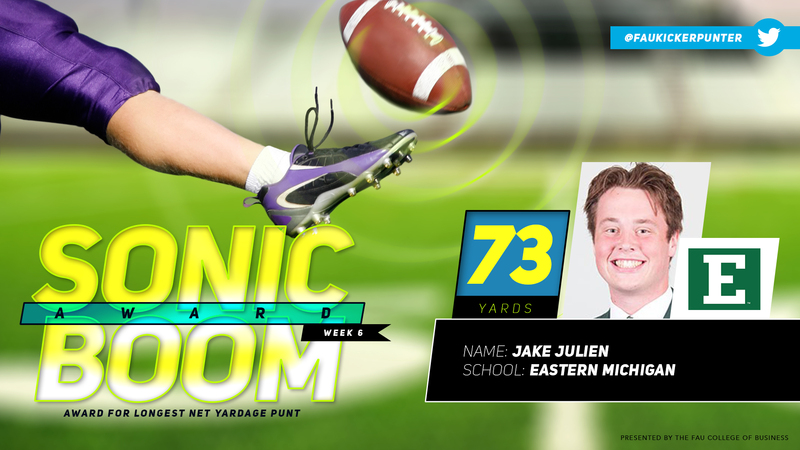 Sonic Boom Award – in recognition of the punter with the longest net yardage punt of the week.